If you use Facebook, you’re probably no stranger to personality quizzes and text-based prompts littering your News Feed. For some, they’re fun. For others, they’re annoying. But, at least in one recent case, they can also increase your risk of identity theft. The risky prompt is inspired by the upcoming royal wedding of Meghan Markle and Prince Harry. 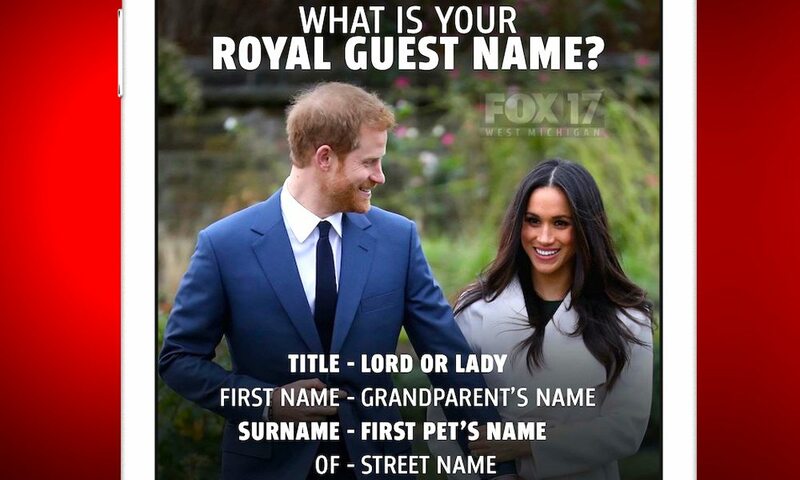 The prompt, first spotted by USA Today cybersecurity reporter Elizabeth Weise, entices users to find our their “royal wedding guest name” by splicing together random details from their past. You’ve undoubtedly seen this kind of prompt before — the kind that will tell you your “mermaid” name or your “stripper” moniker by putting together several random numbers or details. But in the case of the royal wedding prompt, the result could be a security vulnerability. “Start with either Lord or Lady. Your first name is one of your grandparents’ names. Your surname is the name of your first pet, then “of’ followed by the name of the street you grew up on. Just for fun, let’s do this! Post below. Then cut and paste it into your status,” the prompt reads. The problem is that the prompt is asking you to post details that can personally identify you — and can even be used to try and access your existing accounts: the street you grew up on, the name of your first pet, your grandparents. These are fairly common secondary security questions asked by social media sites and other online platforms. They’re definitely not the kind of thing you want to be readily and publicly available. Malicious entities could harvest this information and use it to target you and your accounts. In other words, you can figure out your “royal wedding name” if you’d like — but you should not post them publicly to Facebook or anywhere else. Facebook data and online privacy have been big-ticket issues in the last few months. Even if a prompt or personality quiz doesn’t require you to post private details, you should still be wary of them. If you’d like more privacy tips, you can check out our guide to protecting your personal data on Facebook.